Be the first to share your favorite memory, photo or story of Choey . This memorial page is dedicated for family, friends and future generations to celebrate the life of their loved one. Choey Frank Bridges, 75, lifetime resident of Stamford, passed away at his home on Tuesday, March 26, 2019. Graveside services will be held 10:00 a.m. Saturday, March 30, 2019 at New Hope Cemetery with Mark Lundgren officiating. 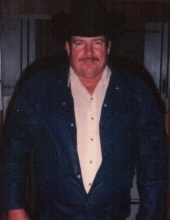 Choey was born December 14, 1943 in Stamford, Texas, the only child of the late Frank W. and Emma Lou (Tidwell) Bridges. He attended Stamford High School and served in the National Guard. Choey was a talented welder and worked many years in the cotton industry. He helped his father in burr hauling and later on worked driving trucks and most recently drove the module truck for Corinth Gin. Choey was also known to be a mechanic and in his younger days, enjoyed racing cars. Besides his many friends, Choey is lovingly survived by a daughter, Laurie Strickland and husband Kendall of Conroe; grandchildren, Wesley Short of Abilene, Kacey Roberson of Conroe, Tabatha Harley Brown of Galveston; great grandchildren, Logan Roberson, Lila Roberson, both of Conroe, Corbynn Brown of Galveston, Presley Short of Abilene, and Avalynn Brown, Madelynn Brown, both of Galveston. To send flowers or a remembrance gift to the family of Choey Frank Bridges, please visit our Tribute Store. "Email Address" would like to share the life celebration of Choey Frank Bridges. Click on the "link" to go to share a favorite memory or leave a condolence message for the family.